Will Russia’s S-300 Missile System Increase Tensions in Syria? Russia will transfer two to four S-300 air defense missile systems to Syria within the next two weeks, the Russian news website Kommersant reported Tuesday, citing a source familiar with the details. According to an unnamed official, Russia may end up transferring up to eight systems to Syria, depending on the circumstances. Prior plans to deliver the system, which is considered vastly more effective and can strike at a greater range than Syria's current S-200 and others, were cancelled after Israeli threats that delivery would constitute a "red line" for which Israel must act. Defense Minister Sergei Shoigu said early Monday, “A modern S-300 air defense missile system will be supplied to the Syrian Armed Forces within two weeks.” It is capable of intercepting aircraft or missiles at more than 250 kilometers. It can also track and hit several targets at one time. Significantly, Syria's systems will be integrated with Russian systems via the S-300, to prevent instances of “friendly fire” (or failure to have friend or foe identification capabilities). The systems will be used to defend Syria's coastline and its borders with Israel, Jordan, Lebanon and Iraq, the report said. And, to make it clear to Israel, Russia declared a no-fly-zone over Latakia Province — which is the location of Russia's Syrian airbase and the general area of last Tuesday's large-scale Israeli attack which resulted in a “friendly fire” downing of a Russian Il-20 aircraft by Syrian missiles. The US verbally countered when U.S. National Security Adviser John Bolton said on Monday that the Russian plans to supply Syria with a S-300 missile system would be a “significant escalation” by Moscow and hopes it will reconsider. The introduction of S-300s and high-tech electronic warfare systems into Syria has changed the balance of power in the region. But, will it stop Israel? Will it increase tensions around Syria? How will the US and NATO (without Turkey) react? Will the S-300 Stop Israeli Strikes Against Syria? Don’t bet on it. The S-300 has been around for years and the US and NATO has had a chance to discover its weaknesses. And, it’s a near certainty that Israel has had access to that information. 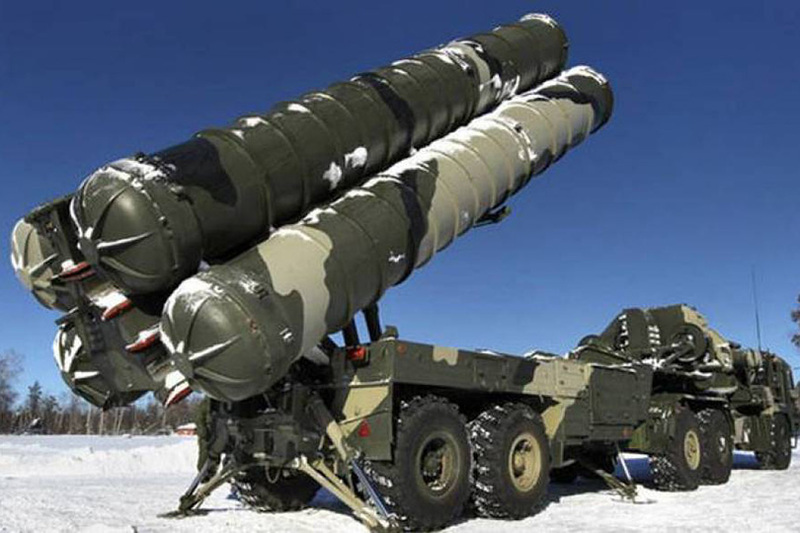 In fact, as part of the information sharing agreement, it’s likely that when Israel does carry out strikes in S-300 territory, they will provide NATO with information on how the S-300 crews react and what radar frequencies and tactics are employed. According to foreign media, the Israel Air Force has trained for missions where Israeli jets must enter airspace protected by S-300 batteries – which the Russians sold to Cyprus and are now in Greek hands. However, Russia has a problem – it must show that it supports its Syrian ally. It also must prove that its highly touted air defense systems, which it is trying to sell to everyone from Turkey to Iran, works well enough to stop US aircraft. Whatever the reason, Russia moved quickly. On Tuesday a series of leaked photos were posted online showing that the S-300 missile defense system may have already been delivered to Syria despite the Russian Ministry of Defense previously suggesting a two-week timeline. According to the author of the Russia-based publication, Uralinform.Ru, the Russian military has already delivered the S-300 hardware to Syria via a Russian cargo aircraft from Mozdok Airport in the North Ossetian region. Likely the "leaked" photos are intentionally meant as public warning to Israel that the S-300 will be deployed before Israel can plan any other strikes. Russia is also insuring its security by declaring a “no fly zone” over its military facilities in Syria. On Monday Russian Senator and former Air Force commander Viktor Bondarev stated that Russia has established a no-fly-zone over Latakia after last week's Israeli attack. “The establishment of a no-fly zone over the Russian military base in Latakia will prevent a repeat of the IL-20 aircraft tragedy,” Bondarev told the Russian Federation’s Council. He further declared that "it is necessary to announce that any unauthorized objects in the sky over Hmeimim Airport will definitely be eliminated." But, Russia isn’t going to rely wholly on the S-300 to protect Syria and its own aircraft from the Israelis (or Syrians). The Russian news agency Izvestia reported that Moscow is boosting its electronic warfare capability in Syria, when it brought one of its most advanced electronic warfare systems on an Illusion-76 cargo plane to its airbase in Latakia. It will be manned and operated by Russian forces stationed there. Russian President Vladimir Putin notified Syrian President Bashar Assad about the shipment in a phone call Monday, the report added. As Al Masdar News reports, at least three of the photos posted by Uralinform.Ru, show the arrival of the Krasukha 4 electronic suppression of navigation and communication systems, touching down inside Syria on Monday night. The Krasukha 4 electronic suppression equipment is a key part of Russia's response to Israel. It can “suppress satellite navigation, onboard radar systems and communications of warplanes attacking targets on Syrian territory.” It can also permanently damage some radio electronic equipment. The Krasukha 4 hasn’t been exported to any country, so the chances that NATO or Israel has detailed information about it are limited. As with all the sophisticated weapons systems in Syria, the Krasukha 4 will be manned by Russians. And, in an indirect admission that Syria’s air defense system was not supplied with enough equipments, Russia will equip Syrian anti-aircraft units with Russian tracking and guidance systems to prevent mishaps in which Syria downs Russian aircraft. So, with the addition of a modern S-300 air defense system, the introduction of the Krasukha 4 electronic warfare system, and the closer integration of Syrian and Russian air defense units in Syria, will Syria and the Russians be able to stop Israeli aircraft strikes? Probably not, although it will be harder for Israel to carry out a successful mission. Electronic warfare is a constantly changing game of move and countermove. The Krasukha 4 appears to be able to “spoof” navigation systems relying on satellites, but there are other options for Israeli aircraft or cruise missiles. According to Vice News, Krasukha jammers have already been deployed to support Russian forces in Syria. They have reportedly been blocking small U.S. surveillance drones from receiving GPS satellite signals, which means Israel and NATO already have some operational intelligence on the system. But surveillance drones aren’t cruise missiles and NATO has another edge. The original cruise missile guidance system deployed in American cruise missiles in the 1980s was “terrain guidance.” This guidance system used a digital map of the area of operations and used this to guide the cruise missile to its target. It was replaced as GPS came into use. Terrain guidance isn’t as accurate as GPS but is immune to any attempt by the Krasukha 4 to block or spoof GPS. The Krasukha 4 can also block radar. However, since radar frequencies are also used by the Syrian/Russian air defense system, this tactic has downside risks also. The bottom line is that if Israel wants to penetrate Syrian airspace, it can. The risks are a larger chance that an aircraft could be hit by Syrian (or Russian) air defenses or the potential of a confrontation with Russia. However, neither Russia nor Israel want to increase tensions – as was seen by Russia’s actions after the shoot-down of the Il-20. Russia was willing to make verbal protests but unwilling to increase tensions. Russia will try to protect the air above its facilities with a strong air defense and electronic warfare capability – if this will keep Israel from taking an action that directly challenges Russia. Russia has also limited potential combat air traffic in the area by trying to limit the potential for hostilities with Turkey over Idlib. Presumably, these actions will convince Israel to limit its air activities over Syria. And, although Israel will be more circumspect about strikes around Russian facilities, it will continue to attempt to strike when it wishes. It is likely to use more modern aircraft like the F-22 or F-35, which have more stealth capability. The IAF also will be more likely to employ its own electronic warfare aircraft like the Gulfstream G550 during any strike. The Israelis will likely fly more “nap of the earth” missions that prevent radar from detecting them. They will be more likely to use Lebanese airspace. The IAF will also rely on missiles that are pre-targeted and less likely to be diverted from the target by Russian electronic warfare systems. Israel is also likely to fly “feints,” where they fly along Syrian airspace or appear to be flying into Syrian airspace. This is a common tactic used by Russian and NATO aircraft and forces the opponent’s air defense system to activate its radar and electronic warfare systems, so Israeli aircraft can discern what the Russian/Syrian tactics may be in a real Israeli strike. The US and NATO will likely follow Israeli tactics. Undoubtedly the cruise missiles on NATO warships can fly along the nap of the earth to avoid Russian and Syrian radar. This doesn’t mean that tensions will increase to the boiling point. There are currently “unofficial” internationally recognized ways that aircraft and air defense systems can track each other and carry out exercises without it escalating into a war. For instance, if an intruder aircraft is “painted” by the opponent’s area search radar that is acceptable. However, if the one of the sides switches to its higher frequency fire control radar, that is considered hostile. An analogy would be the difference between someone with a holstered pistol saying, “I see you,” versus his pulling the pistol out of the holster, putting his finger on the trigger and pointing it at you. It is highly likely that the Russian Il-20 pilot must have heard the fire control radar locking on him but was not able to take the right action on time to avoid the missile. Conversely, the Syrian air defense operators were unable to differentiate the Il-20 radar signature from that of an Israeli F-16, which made them turn on their fire control radar. Rest assured that the Syrian air defense operators and Russia pilots will be addressing any shortcomings. Given that both Russia and Israel are unwilling to increase tensions to the point that hostilities will break out, the chances are that despite the introduction of the S-300, the level of tensions will not increase appreciably. Instead, they will practice those internationally recognized, unofficial moves that mean that there is no hostile intention. Just in case the US Navy thinks it is invulnerable to Russian ships in the Mediterranean, Russia has conducted a dramatic and what appears to be successful test of new anti-ship missiles by blowing up a fleet of warships in a training exercise. Footage released by Russia’s defense ministry demonstrated the capabilities of the Kh-35U anti-ship missiles, which the military touts as a ship killer immune from enemy missile defense systems. The missile has a range of 155 miles and can destroy a ship displacing 5,000 tons. Russia’s Ministry of Defense announced this week: “Su-34 multifunctional fighter-bombers carried out practical launches of the newest guided anti-ship missiles Kh-35U." “All in all, eight launches were carried out, all missiles successfully hit targets,” the statement added. Although the tests were clearly a warning to the US Navy, it is unknown if the missiles are available in the Syrian Theater. And, since the smallest US Navy combatants in the area are larger than 5,000 tons in displacement, it could be argued that attacking an American warship with it would only make the US angry and likely to retaliate. Admittedly, such a missile could seriously damage an American frigate or destroyer. However, the US Navy has focused crew training and ship design on damage control. In addition, US capital ships like aircraft carriers could probably sustain a hit and resume air operations in short order as the fire on the USS Forrestal during the Vietnam War demonstrated.